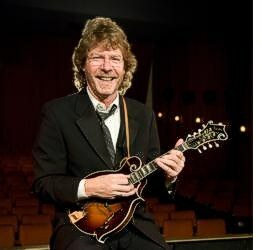 Bowling Green, KY -- Bowling Green native and multiple Grammy Award winner Sam Bush has energized audiences and inspired generations of acoustic musicians by pushing the boundaries of traditional bluegrass to create an exciting blend of bluegrass, jazz, rock ‘n’ roll and soul. The 2015 Governor's National Award honors Sam Bush. The National Award is awarded to a Kentucky son or daughter who has achieved national acclaim in the arts. A public ceremony recognizing the 2015 Governor's Awards in the Arts recipients will be held Thursday, October 22, at the Capitol Rotunda in Frankfort, Kentucky. Sam Bush joins nine Kentuckians whose contributions - as artists or advocates - have raised the level of quality and awareness of the arts in Kentucky and the nation who are being honored by Gov. Steve Beshear for their lifelong commitment to and achievement in the arts as recipients of the 2015 Governor's Awards in the Arts.